We are a big fan of Carter's clothing in our family. They have so many different adorable outfits and since Adalyn was first born, she has been wearing lots of Carter's clothing. My favorites off the top of my head is the fleece footie pajamas which wash nicely and stay soft as well as keep Adalyn warm at night. Also, last year, they had a super adorable bike line of clothing that was aqua and hot pink that I just love (and bought multiple sizes in so Adalyn can keep wearing this line). 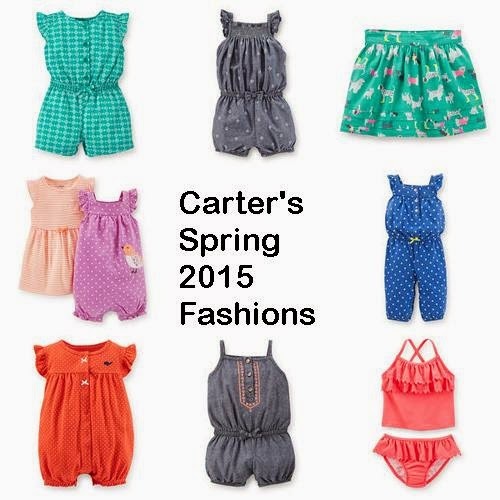 I was recently provided a gift card to Carter's to shop their spring line. I have actually never been to a Carter's store before but Carter's is sold in most stores that sell baby clothing so we purchase ours from their. I had fun going through their site and choosing some adorable outfits for Adalyn for summer. In the photo above, these are my top choices for Spring from Carter's. Here are a few of my purchases from Carter's- If you know my blog, anything with dogs on it is going to get purchased such as these adorable pajamas which feature the amazing and wonderful weiner dog. Adalyn was born at the end of September so I have not gotten to dress her in summer clothes yet so I cannot wait to do so. Little arms and legs are so adorable and I cannot wait to see her wear items such as shorts, bikinis, rompers and sandals! I love the bright colors for spring and summer so much. I have a terrible addiction to buying way too many baby clothes and have so much fun dressing my little one. From March 26-April 5th- the entire Carter's store is 50% off. This is great for stocking up on all kinds of essentials including dresses, swimwear, tees, Easter clothing, shorts and more. I am so excited for Easter this year with my baby since Easter is my very favorite holiday. I have been wanting to get Adalyn a chambray romper for awhile and love this one with the anchors. It is a bit big right now but should fit her by the time the weather gets warm. Adalyn has never worn a swimsuit yet and I am so excited to put her in one soon. Carter's has some super cute swimwear that have sun protection which is great to protect sensitive skin. 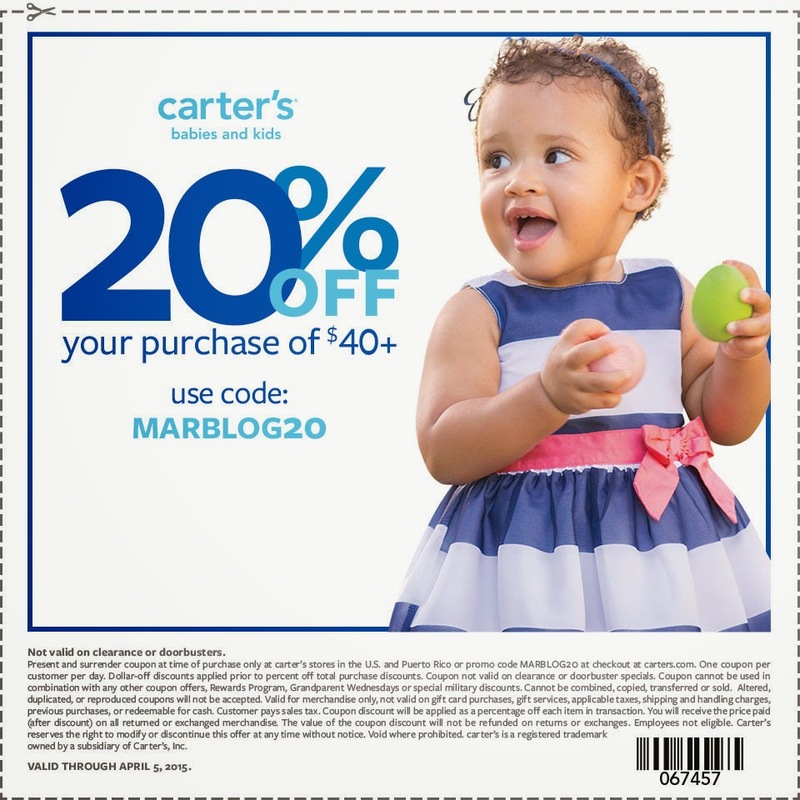 Use this coupon to save money on your purchase from Carter's.